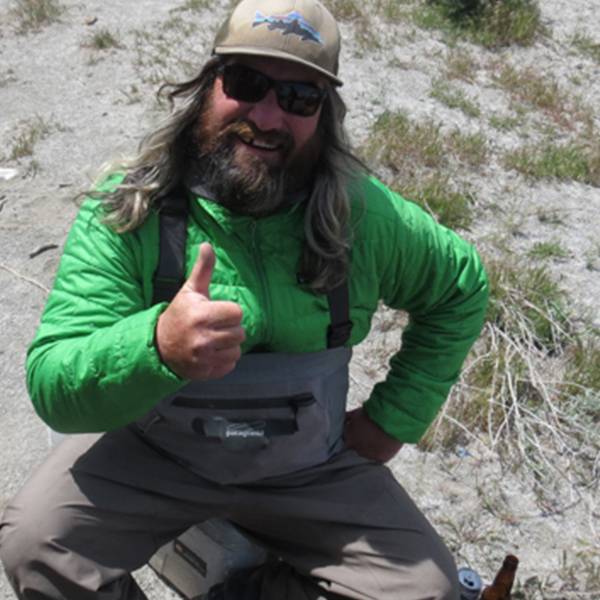 Chad Erchul - Red Truck Fly Fishing Co.
Target Species: Trout, Trout, and more Trout…Did I mention TROUT? When did you start fly fishing and who taught you? I started fly fishing about 12 years ago and am mostly self taught. I would follow Candy-apple John up and down the beach at Pyramid Lake picking his brain and watching him cast. Eventually I started tying my own flies and the obsession just grew from there. When I was in elementary school I would often ditch and my mom would get a call from the Principal. She would know right where to find me…Battle Creek with my pole. I don’t know why I fish, but it’s all I ever think about. If you were only allowed to fish with one fly for the rest of your life (regardless of species), what would it be? Easy. The HMD fly that my buddy Geronimo ties. They come in several different sizes and colors and are a very very effective pattern. 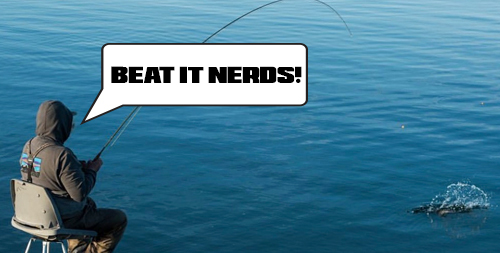 What is your most memorable fishing experience that didn’t involve the fish? One time we were at Pyramid camping, it was a very cold morning and we were out fishing early when we heard loud screams coming from the water. I looked out and saw a man clinging to a green aluminum duck boat that had flipped. With all his tackle floating in the water around him we started hollering and yelling at other boaters to help. Finally after 10 minutes we caught the attention of a guy who raced over and drug him to shore. I picked him up, took him inside my camper and gave him coffee and dry clothes. He told me I saved his life and that he was retired Coast Guard and didn’t have a life jacket, he then gave me his duck boat. After I got the title in the mail I sold it on Craigslist for $500 cause I ain’t tryin’ to drown. What is your favorite Red Truck Rod and favorite Red Truck Reel and why? The Red Truck Diesel 10 foot 7 weight matched with the 7/8 Diesel Click and Pawl Reel. It’s my go-to Pyramid Lake setup and all it does is catch hogs!